Welcome to The Reincarnation, a massive multiplayer online game that you can play for free. In this game you take up the role of an ancient mage, guiding your fantasy kingdom with the power of your magic and the strength of your armies. You will be able to interact with many other players from around the world. Some of them may become supporting allies, others will be competing opponents. Use your skills, magic, and army to achieve the ultimate goal -- to become the most powerful mage in Terra! A game that requires 15 minutes a day to play... but is so addictive you'll want to play all day! Versions of this game have been around for over 10 years, starting with the original Archmage. This 'reincarnation' has been online since 2004. We currently have four live servers, each with slightly different rules. We also have a beta server, established to test new code and address balance issues before introducing changes to the full live servers. 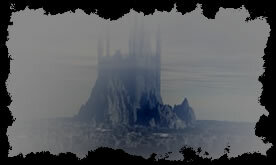 The Reincarnation is played by a community of players from all over the world. You can find them any time, any day on the universal bulletin board, supporting guild sites, chat rooms, or perhaps assaulting your kingdom. We are waiting for you to join! The game interface is old school and dusky and minimal - because the gameworld Terra is old and dusky and it is your quest to unvail the secrets of its magewar society - which is quite an experience. WARNING: After the game grabs you, you will want to check your mage all day (e.g. on your mobile phone, while commuting to work or school) and schedule and coordinate your bigger moves with friends in your free time (on the web, browsing and chatting).